In Summer 2015, Richard Egan was nominated in the Lawyer awards for “Client Partner of the Year”, following on from the nomination of Phil Smith the previous year. Robin Murray has been short-listed in the inaugural Legal Aid Champion category in the 2014 Legal Aid Lawyer of the Year awards, alongside CLSA Chairman, Bill Waddington. 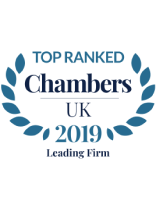 Chambers & Partners (http://www.chambersandpartners.com/uk/Editorial/72698#per_159130) rank Tuckers as a Band 1 firm in a number of its disciplines. Legal 500 (http://www.legal500.com/firms/3364/offices/6645) recognises Tuckers as a Tier 1 firm in criminal defence and civil liberties.